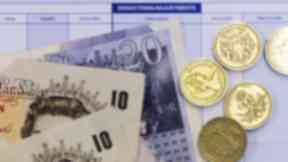 The Scottish Fiscal Commission has updated its forecast due mostly to income tax revisions. 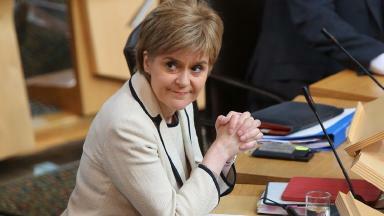 Changes to the Scottish Government's Budget will raise an extra £62m, the Scottish Fiscal Commission has confirmed. The independent body has published official forecasts for income tax revenue, updated to reflect revisions to the 2018/19 tax and spending plans approved by MSPs last month. The extra revenue comes from a change to the higher rate threshold and the extension of the public sector pay rise. An anomaly in the draft Budget proposals from December would have seen those earning between £43,525 and £58,500 paying less tax rather than more. 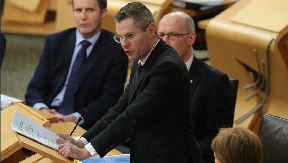 Finance secretary Derek Mackay said this would be addressed by changing the higher rate threshold to £43,438 rather than the £44,274 that had originally been proposed. The commission forecasts the move will raise a further £55m, taking the total additional revenue raised by the final income tax policy to £219m. The extension of the Government's public sector pay policy to apply to 75% of public sector workers is forecast to raise a further £7m in income tax. Dame Susan Rice, chair of the commission, said: "Our updated forecasts published today, reflecting the latest policy changes, show that the Scottish Government will raise £62m in 2018-19 more than we forecast for December's draft Budget. "The commission has provided this updated forecast to support the committee stage of the Budget process, as agreed with the parliament and government last year. "Our work is intended to support Budget scrutiny and transparency." 14 Dec 2017 Scottish Budget: How much income tax could you now pay? 13 Dec 2017 Scottish Budget: Will your salary be hit by tax hike?